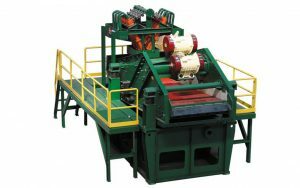 Vertical Cuttings Dryer – drill cuttings management equipment, reduce OOC to below 5%. * Brand names are for reference only and not meant to be made by said manufacturers. 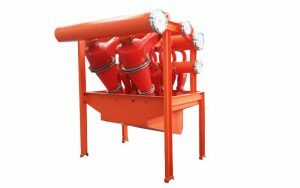 * Mud system is combination of a number of solids control equipment and/or fluid processing device, used for drilling mud purification, circulating, recycling, mixing and etc. H-Screening is very professional in the field. We are happy with the equipment and after-sales service. Hope to continue the pleasant cooperation. Thanks! We are running the equipment quite well. 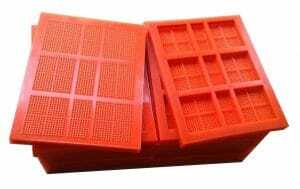 It meets our job and gets satisfactory result. Thanks for the quick response every time. Cheers! We would like to say thank you for the service and cooperation. 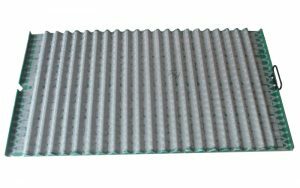 The efficient separation improves our product quality and save efforts in the downstream processes. Will keep it up! 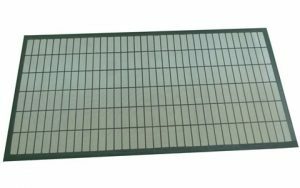 Why Screens from us ? 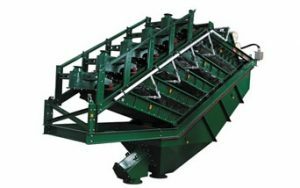 Vertical cuttings dryer / Verti-G dryer for drilling waste management. It can be used for oil / water based drilling mud application. 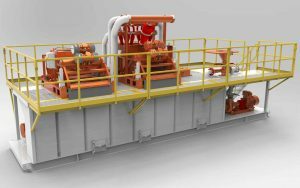 Shale shaker is the most important separation equipment for drilling mud cleaning and recycling. 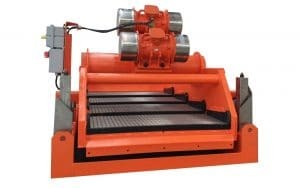 Hyper G drilling cuttings drying shale shaker is available. 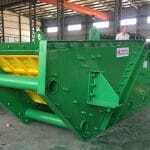 It is a combination of desander, desilter and dewatering shale shaker. Compact design, small footprint. 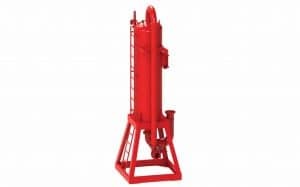 Mud gas separator (poorboy degasser) is is used to remove undesired gas from drilling mud. 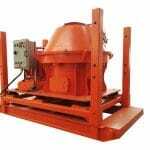 Oilfield decanter centrifuge available in high / middle speed, big / small volume. Heavy duty design for oilfield application. Reliable & Affordable ! 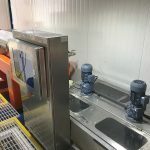 Enhanced technique of screening shaker, hydrocyclones, centrifugal separations are applied to the solids control solution of various industries. 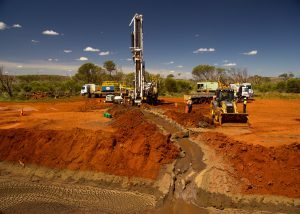 We learn about your needs and projects, are able to go for field investigation. Making the most efforts! Proposals exceed to your satisfactions. Project presentations and management, solids control training and consultancy. 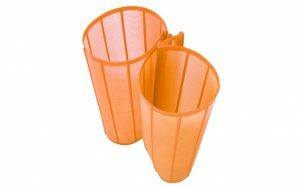 Drilling cuttings from onshore/offshore drilling units, must be disposed in a safe way to the environment. Cuttings drying and TDU can achieve OOC < 5% and < 0.3%. 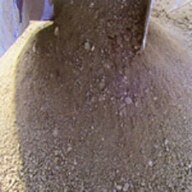 Waste liquid mud contains large amount of colloidal-size solids (< 5 microns). 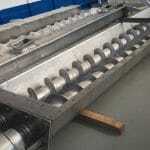 Gel breaking and chemical enhanced centrifuge dewatering process are introduced. 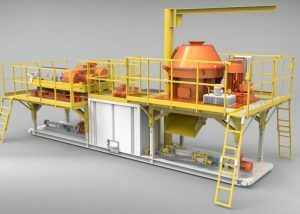 Oily sludge treatment system achieves successful HSE environmental impact in terms of flue gas, effluents, solids, and noise. After treatment the OOC is less 0.3%. 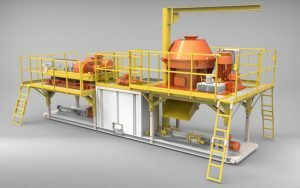 Verti G Cuttings Dryer and Decanter Centrifuges are the solution that can dramatically reduce waste volume and reclaim much drilling fluids back to the active mud system, and meet increasingly strict environmental regulations. 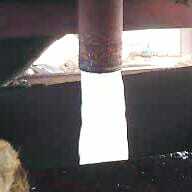 The oil on cuttings (OOC) of the cuttings dryer is less than 5%. 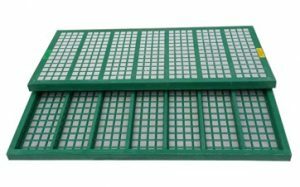 In order to total dispose of the solid cuttings, thermal desorption treatment are introduced, after treatment the cutting oil content is < 0.3% which is ready for landfill. 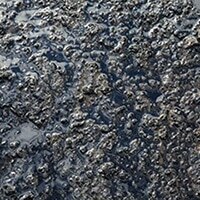 Mud oil are recovered for remixing oil based drilling mud. 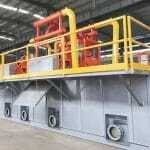 Solids control system is the most import part of oilfield mud circulation system. 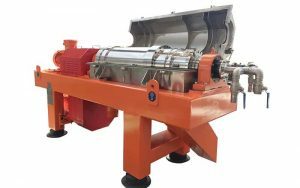 The efficient solid-liquid separation process accomplish by linear motion shale shaker, desander / desilter hydrocyclones, (mud cleaner) and decanter centrifuge is the so called “4 phase solids control”. 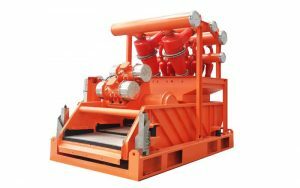 According to the drilling condition and mud volume requirement, a number of solids control equipment and mud tanks are combined to work as a whole for continuous mud flow circulation. The mud system is customizable upon request. 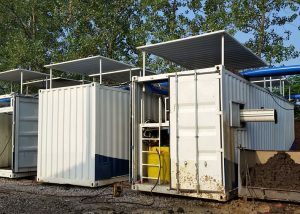 Mud recycling system for HDD (Trenchless) or TBM applications adopts the solids control concept from oilfield, but requires the most compact structure as possible. 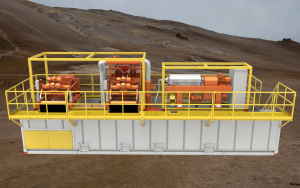 The mini mud system is often a highly self-contained tank skid with shaker, hydrocyclone unit and centrifugal pumps. 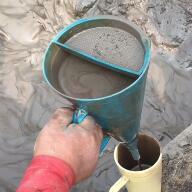 Mud hopper is configured if to mix the fresh drilling mud. There is often a mud pit at the field site, dirty mud is transferred by a slurry pump and sent into mud recycling unit for cleaning. 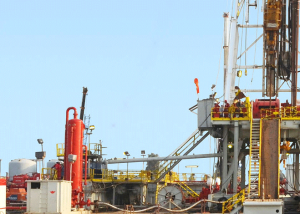 The cleaned mud will come back to the drilling rig for reuse. 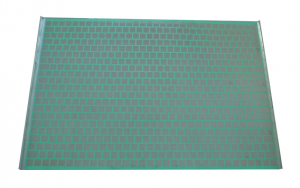 Screen brand names are reference only and not meant to be made by said manufacturers.